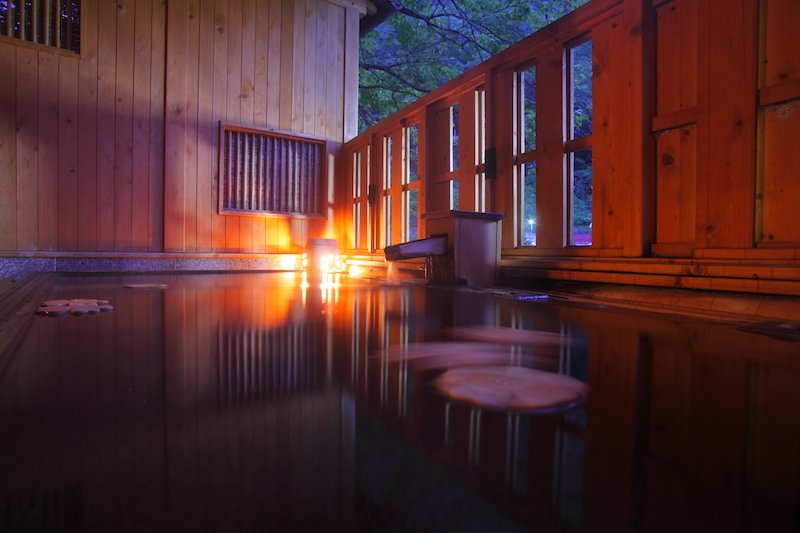 Natural hot springs of the Kiso Road which have been loved by travelers since long ago. The natural hot springs will ease your mind and heal your body and soul. The blessings of nature will heal you in the open-air bath. The rain and the snow falling on the steep mountains became the energy of the earth. They combined with the spirit of the sacred mountain, Ontake, Together, they became the source of the hot springs, and continue to flow today. 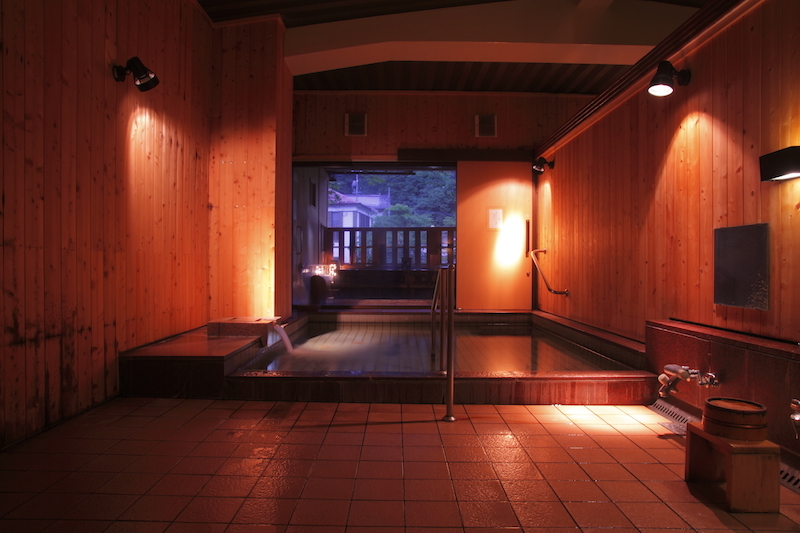 You can leave your fatigue and stress behind by bathing in this hot spring, which remains unchanged since ancient times. Each season offers a new and different natural experience. The herbal bath has been passed down since ancient times. 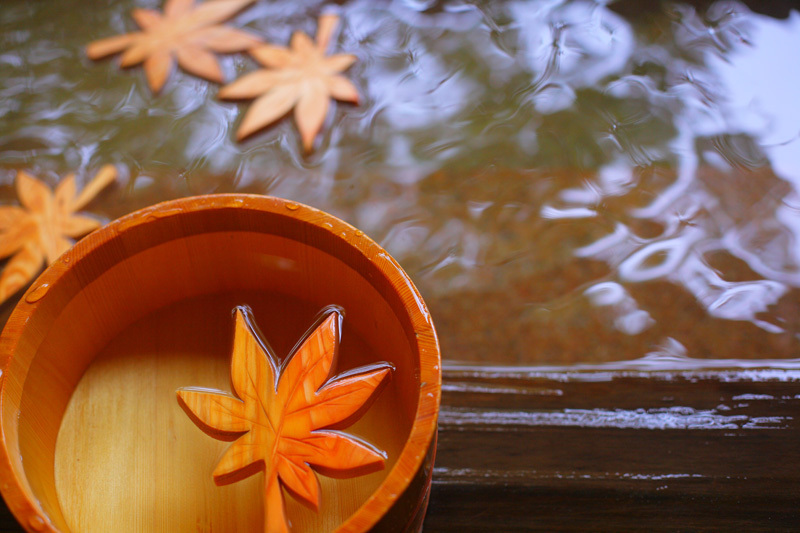 You can also enjoy“Hyakusoyaku” [hya-koo-so-yah-koo] herbal bath. “Hyakusoyaku”[hya-koo-so-yah-koo] is a medicinal herb that has been passed down in the Kiso Valley since ancient times and continues to be loved by the community. It is called “medicine of the Gods”. “Hyakusoyaku” [hya-koo-so-yah-koo] contains Amur cork tree which was grown on the sacred mountain, Ontake. The herbal bath which contains a lot of Amur cork envelopes your skin like a warm embrace. Please enjoy a relaxing time in the calm atmosphere of the Kiso Road. Non-guests can also enjoy our hot springs for a small fee. *In the event that our baths are full, we may not be able to accommodate all non-guests. Please contact us in advance to guarantee space. Both hot springs and baths are separated by gender.